Nothing says “warm toasty Christmas” like a hot chocolate. Well, mulled wine does also say “warm toasty Christmas”. And hot toddies, they say that, too. 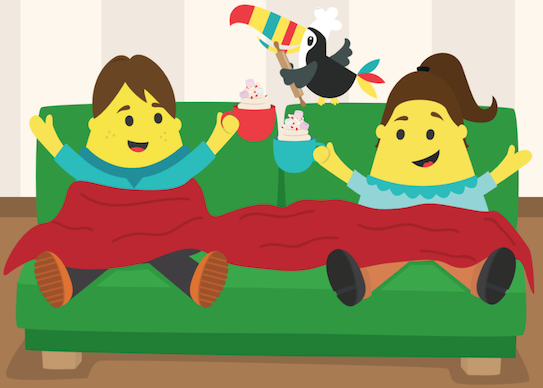 But when it comes to being child-friendly, there’s nothing better than curling up in your living room in your pyjamas and comically-shaped slippers with the kids and having a warm mug of hot chocolate. But what is the best hot chocolate of all time? Stuffed with marshmallows? Sprinkled with peppermint pieces? Scented with vanilla? Let’s not turn this into a debate. We can agree that every variant of hot chocolate brings something delicious to the table. So this Christmas, don’t just pick one hot chocolate. Have one every single day until Santa comes! We’ve come up with 24 incredible hot chocolate recipes that are easy to make at home - that’s one every day of advent, or as many as your sweet tooth can handle. 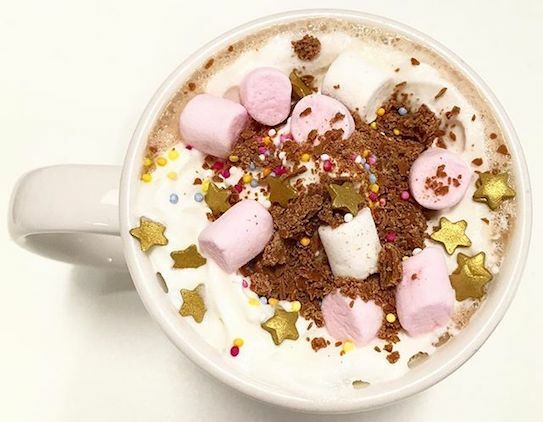 To help break up the chocolate overload, we’ve also included some ideas for crafting a play hot chocolate, and making a hot chocolate gift to give as Christmas presents. Okay, so 24 hot chocolates might require a lot of ingredients. We’ve tried to keep our ingredients list to a minimum, if you are inspired enough to sample every single one. To kick things off you’ll need the basics. Some good cocoa-powder, hot chocolate mix or raw cacao powder, depending on your preference. You’ll also want your choice of milk, some chocolate to melt in, some whipped cream (or non-dairy alternatives), some marshmallows (vegan and veggie marshmallows are widely available, especially at food health stores) and sugar. You can find a complete shopping list at the bottom of the page. Ready to indulge? Let’s do this. To make it easier for young children you may want to heat the milk in a microwave, though cooking on a hob produces great results and helps older children observe the changes the ingredients go through. Pour the milk into a saucepan. Bring it to a simmer. Add the chocolate powder and sugar, and begin to stir. Keep stirring. Add the chopped chocolate and continue to stir until it starts to thicken. You can add a dash of more milk if it starts to become a little thick, or a little cornflour (or heck, some more chocolate) if it’s too watery. Pour into heatproof mugs and enjoy! Now you’ve got the basics, you can experiment with flavours on each day of advent. 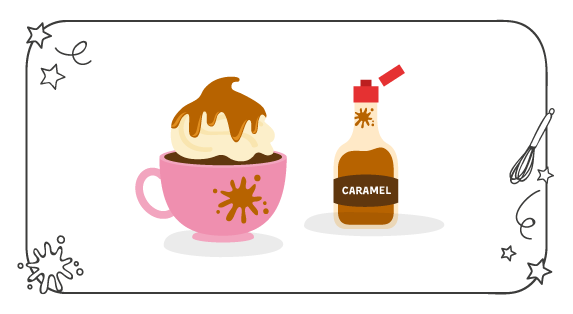 Caramel sauce is available at lots of supermarkets, and now you can even pick up some oh-so-hip salted caramel sauce. 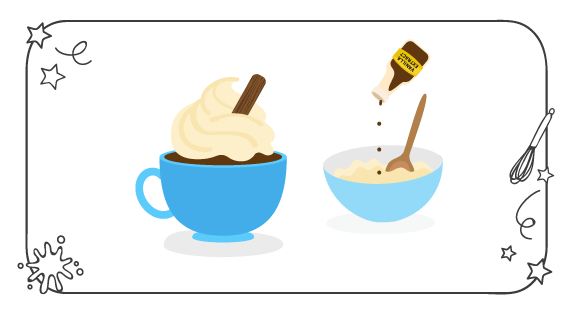 Add two heaped teaspoons to your simmering hot chocolate, and stir in. Top with whipped cream, then add a drizzle of caramel over the top with a teaspoon. Make the classic hot choc. Add whipped cream and mini marshmallows. Top with hundreds and thousands and edible stars (a pantry essential). Then add the pièce de résistance, a crushed flake. Top tip: crush the flake before you open it! 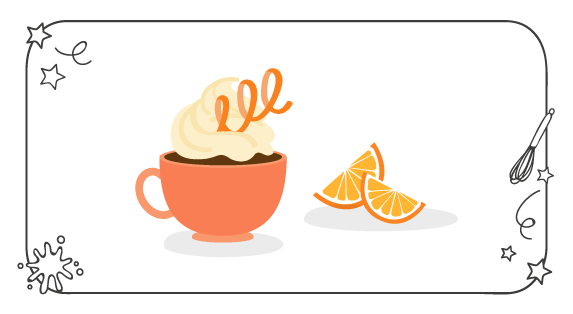 …Or vanilla hot chocolate. It’ll remind you of those summery days, whilst warming you though. Add a drop of vanilla essence into the sugar, and give it a good mix with your fingertips. Bring milk to the boil and stir in ingredients. Top with whipped cream and a flake! Take the classic and stir in a big spoonful of your favourite peanut butter. Yes it’s that simple. Yes, it’s that delicious. Use a tin of coconut milk (full fat works best). Add about 125ml of your usual milk to dilute it slightly. Bring to a simmer and add the usual cocoa powder and chocolate. Toast some shredded coconut under a grill. Add a swirl of cream to the top of the hot chocolate, and sprinkle over some coconut. It’s a tropical Christmas! Susanne Williams from our toucanBox community recommended this slightly-kinder-on-the-waistline recipe. 200ml unsweetened coconut milk, 2 tablespoons (heaped) raw organic cacao, 1 tbsp powdered erythritol (0GI sugar alcohol). Heat the milk to a simmer and mix in ingredients. Top with whipped double cream and grate some 85% dark chocolate on top. As Susanne recommends, “It's velvety, chocolate and lovely. No need for all the artificial carp.” Yep, she definitely said carp. 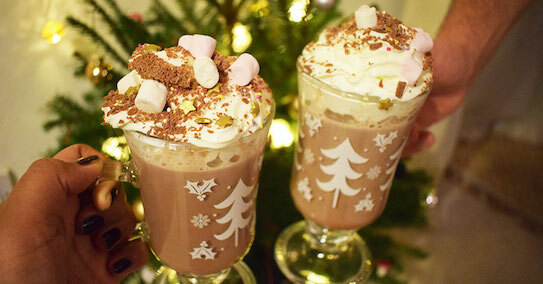 In the ‘Exploring the Seasons’ toucanBox, we dreamed up a winter-inspired recipe called the Ultimate Hot Chocolate. After this chocolate-overload post, we’re no longer sure if it deserves the title of ‘ultimate’. But it’s great. Take the classic, add whipped cream, marshmallows and crushed peppermint candy canes, for a sweet minty taste. Pure Christmas in a cup. Add some gingerbread syrup to your milk before you stir in your chocolate powder, with a little spoonful of nutmeg. Add whipped cream. 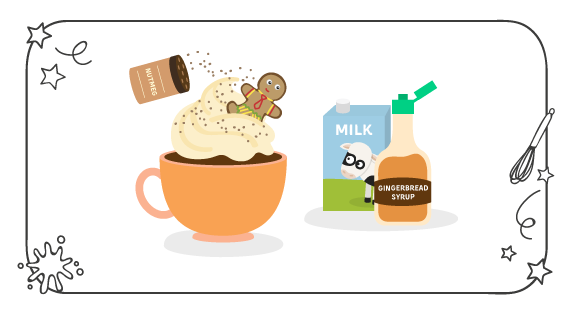 Sprinkle with a touch more nutmeg, and add a mini-gingerbread person. As you’re making the classic, add the zest and juice of one orange. Top with whipped cream and add a peel of orange. 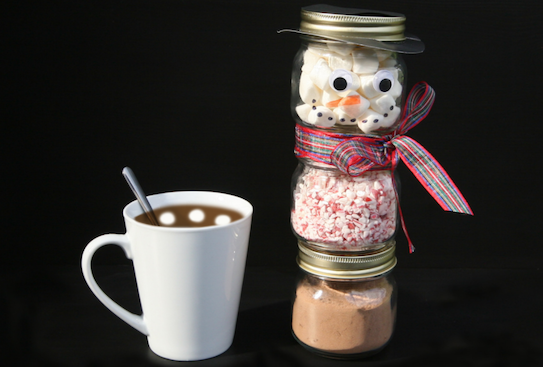 Make a cute snowman out of marshmallows. Pop him in your favourite hot choccy and watch him get toasty. Replace your dark chocolate for white chocolate. Stir in to get a slightly lighter coloured hot chocolate. Pour into mugs and top with a sprinkling of icing sugar, and mini white marshmallows. Snowy! Bring your milk to a simmer. Add two tablespoons of Nutella. Add whipped cream and top with crushed hazelnuts. 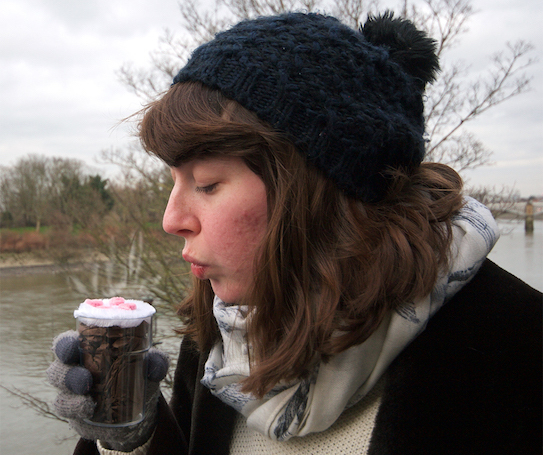 Ever wanted to look like you’re drinking a hot chocolate but not actually drink a hot chocolate. All the time, right? Jenny came up with this ingenious little invention for some toasty role-play. 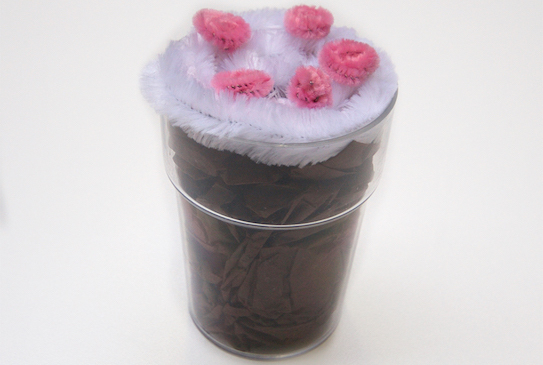 Just scrunch some brown tissue paper into a plastic cup, Add a swirled white pipe cleaner to the top, and decorate with cut up pieces of pink pipe cleaner. Imaginary gulp. Yum! Yup, that Nutella one was really delicious. And then we thought, how about a dash of banana? It works in crepes. Add slices of banana to the top for a fruity finish. Before you give this a spin make sure you know how much spice your little ones can handle. Take one chilli, slice it in half and remove all the seeds. Drop one half into the milk. Bring to a simmer, then remove from the hob and let it sit for 5 minutes. The longer you let it sit, the more spice gets infused. Give it a little taste at 5 mins, and see how the spice is. You can leave it for longer if you wish. When you’re ready, remove the chilli, bring the milk back to a simmer and add your usual ingredients. Top with some shaved dark chocolate. Make the classic. Add a teaspoon of caramel sauce (optional). Top with whipped cream. Chop up a piece of delicious fudge (and hey, the chocolate covered fudge bars work just as well) and sprinkle over the top of the whipped cream. Perhaps you need a chocolate breather. Perhaps you don’t! Share the choc-experience with this excellent, affordable, homemade gift set. Fill the jars with your favourite ingredients, and give some Christmas cheer. Download the guide, complete with materials list. Begin to make the classic. As you add the cocoa powder, also add a tablespoon of ground hazelnuts. Add whipped cream on top, add a chocolate sauce swirl and some roughly chopped nuts. Two of our favourites from the season. Add a dollop of Nutella and a dollop of peanut butter to your hot chocolate mix. Top with chopped hazelnuts. Could it feel slightly more Christmassy? With a dash of cardamom it could. Stir in a spoonful of cardamom as your milk is simmering. Melt some chocolate in a bowl. Take whole strawberries, swirl them in the chocolate and placed on baking paper. Pop them in the fridge. Make the classic hot chocolate. Top with whipped cream, sprinkles and add some sliced strawberries. 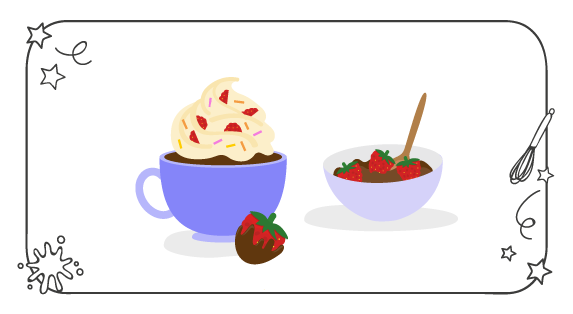 Serve with a chocolate-dipped strawberry. Take a sip and muse over why they don’t play Wimbledon in the winter. Add a drop of almond syrup (if you have it) to your hot chocolate mix. Add two teaspoons of raspberry jam and stir in. Sprinkles with flaked almonds. Because there’s no such thing as too much chocolate.